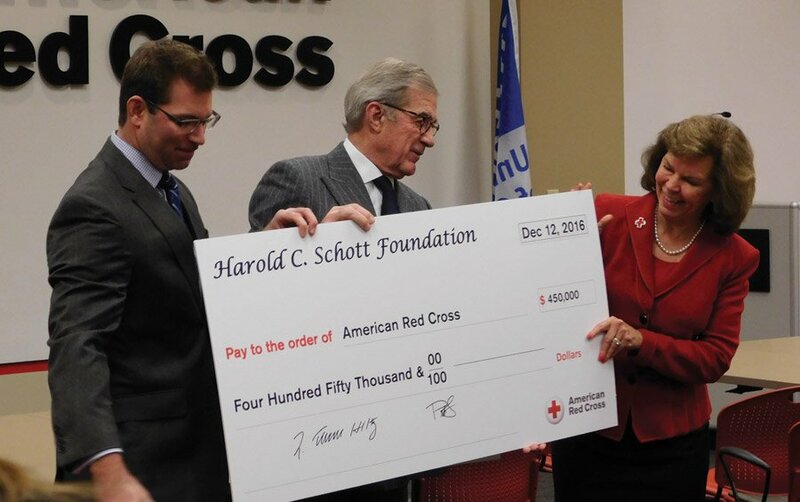 The Harold C. Schott Foundation awarded the Greater Cincinnati-Dayton Region of the American Red Cross $450,000 for the purchase of three emergency response vehicles. The Red Cross responds to more than 900 disasters each year in the 27-county region, assisting more than 1,200 families. Pictured are Peter Hiltz, foundation trustee; L. Thomas Hiltz, chairman of the foundation’s board; and Patricia Mann Smitson, CEO of the Red Cross region.